I know it’s only a Wednesday but this morning I thought i’d treat myself to something a little more special than the usual cereal (not that there’s anything wrong with delicious yummy cereal). Eggs and avocado’s are two of my favourite foods, liking it spicy (as always) I topped mine off with a spicy squirt of sriracha… breakfast heaven. 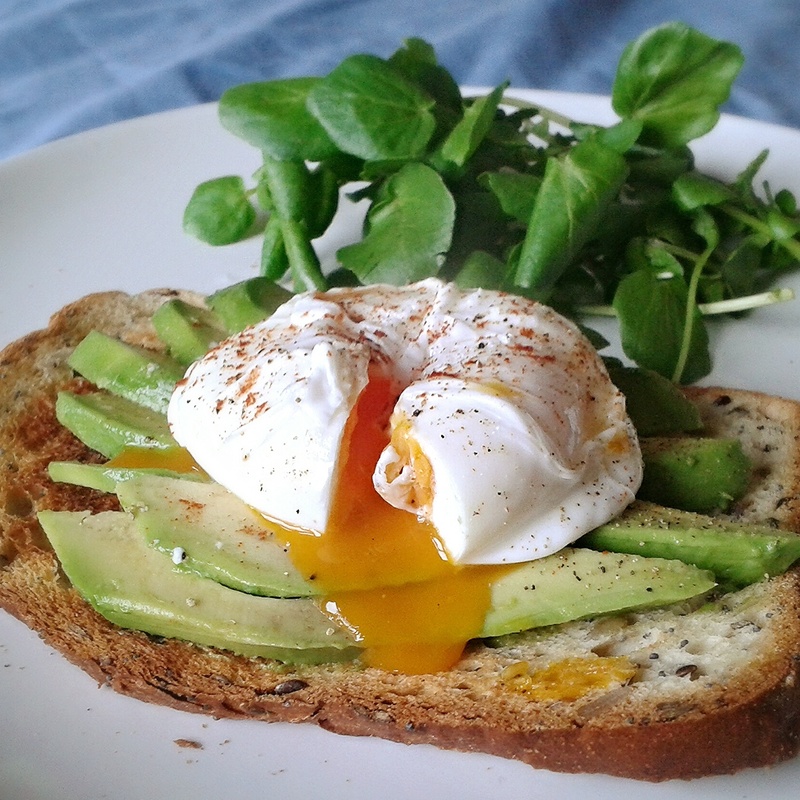 Avocado and Poached Egg on Gluten Free Sourdough Toast with a Side of Watercress. Bring a pan of water to the boil and pop the bread in the toaster. About half way through toasting the sourdough crack the egg into a ramekin and slowly tip it in to the boiling water. Cook for 2:30 to 3 minutes. When the bread is perfectly toasted lay it on a plate and top with the avocado, then add the poached egg and season generously. Pop a handful of watercress on the side and enjoy. I have just discovered your gorgeous blog, I love the look of this dish for a lovely weekend brunch, anything involving avocado gets my vote! Your photo is mouthwatering!